He perhaps was - and in several ways still is - one of the most famous jazz musicians of all time; Miles Dewey Davis and his iconic trumpet have enriched the world with the most beautiful music, and still much appreciated this day. Widely considered as one of the most influential and innovative musicians, Miles Davis was at the forefront of several great developments in jazz music, including bebop, cool jazz and fusion jazz! As an homage to this great artist, Oris has produced a limited edition for their Jazz Collection; the Miles Davis Limited Edition! The beautiful 18k rose gold case, measuring a delicate 35,5 x 30 mm, with a thickness of 10,2 mm, is simply striking. 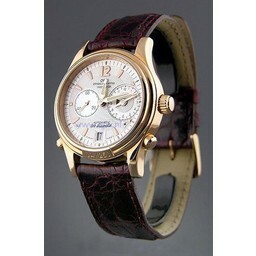 It's both sophisticated as well as classic, but with enough presence to make it stand out precisely right on the wrist. The black dial is set with beautiful, organic numerals and indexes which match the flowing case design perfectly. The hands, however, are more contemporary and modern in comparison to the dial. Furthermore, the small date window in between 4 and 5 o'clock help to bring a little more practicality to the dial. 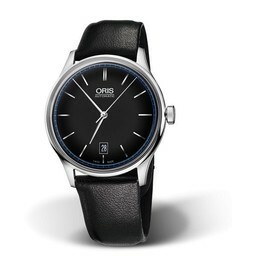 The watch is powered by the ETA based, Oris 583 automatic movement. The delicate movement has a power reserve of 38 hours, which actually is quite impressive regarding its size. 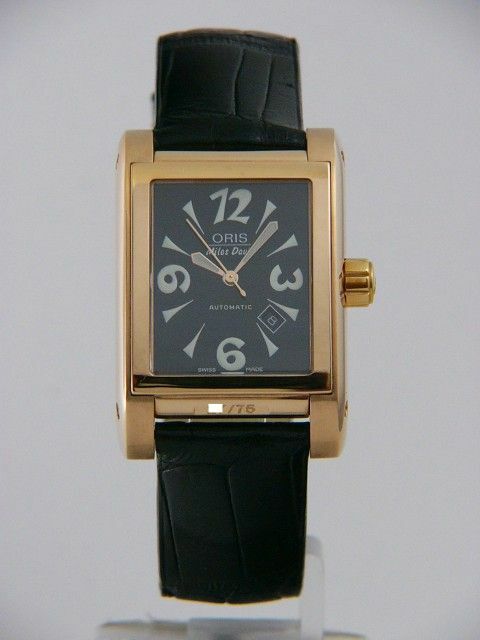 The movement cannot be seen via the solid case back, but Oris' solution is even more stunning! The beautiful engraving of Miles Davis playing his famous trumpet makes the watch complete, and again refers to the musician this watch is dedicated to. A nice gesture, and a truly special timepiece.